Fergie and Andy, the Duke and Duchess of York, talk to the press during their visit to Niagara Falls. The Horeshoe Falls can be seen on the background. 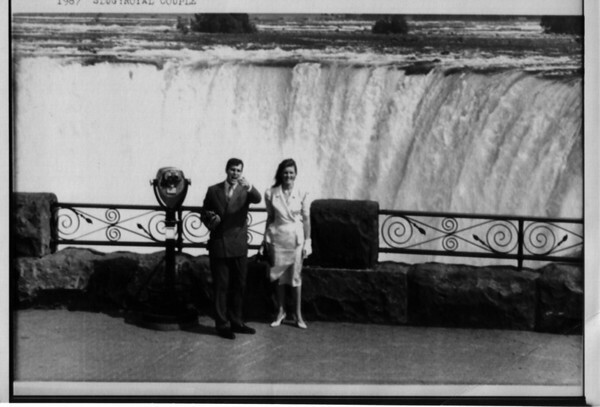 The couple is standing at Tablerock and ideal viewing location to see the Falls. Their stop in Niagara Falls is just part of their tour of Canada. Photo - By Will Yurman - 7/18/1987.